easy3D is one of Europe’s leading 3D technology companies. High-profile clients from Switzerland, France, and Germany trust easy3D to streamline their production process through reliable high quality 3D printing, modelling, and scanning. Reduced costs, faster lead times, and better products are just some of the benefits they enjoy. Best in class 3D printing. Over 200 successful projects in 3+ years have established easy3D as a trusted industrial partner of R&D and Product Management departments all accross Europe. 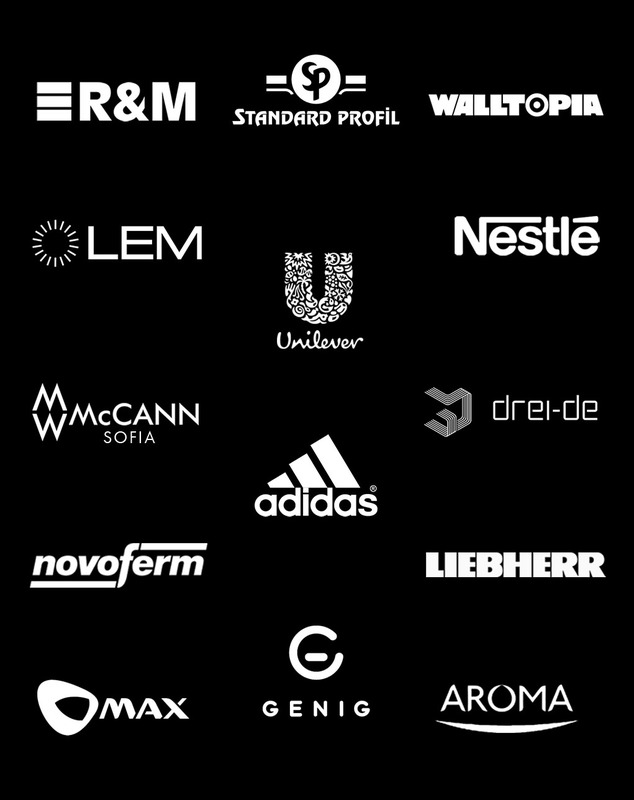 Among our closest clients are ABB, Reichle & De-Massari, Liebherr, LEM, Appenzeller & Benisowitsch Drei-de, Nestle, Adidas, Unilever, and many other industry leaders who all have one thing in common: focus on being the very best at what they do. To ensure a continued competitive advantage through better products and smarter solutions they rely on easy3D’s expressly delivered, quality assured 3D printing. Continue the conversation over email to learn more about our 3D specific engineering solutions, how we can work together to enhance your product lifecycle, and to start a free pilot project as a proof of concept for our services. An easy3D employee (a person, not a computer) will send only an email to get things started. There won’t be any spam – we hate it too. We have specialized in all major 3D printing technologies, numerous 3D modelling software, 3D scanners, and dozens of materials. We experiment daily with software, settings, temperature and more to develop an unrivaled expertise in printing. We have invested serious resources into acquiring a breadth of 3D priting knowledge so your team can focus on what is important for them and leave the specifics to us. easy3D is a tool for your engineering team to rely on – a resource made indispensable by the sophistication of its technology and quality of its deliverables. We give you access to more software, technology, and materials knowhow than any other solution on the market today. Unleash your team’s creativity with the one company built specifically for those who create. Check out two of our technologies below. FDM is ideal for making strong, gritty parts which are designed to fulfil functional requirements. Materials range from very strong to rubber-like and include ABS, PLA, TPU, PC, CPE, Nylon, ULTRAT, HIPS, PETG, and others. Supports are no longer an inconvenience with our water-soluble PVA material. SLA will bring precision, smoothness, and formidable strength and durability to the table. Paired with an inhouse UV post-curing installation, the materials which include Tough, Durable, Flexible, High Precision, Castable, High Temperature, and others, are pushed to their full potential, maximizing their qualities several fold. Part of the process. Part of the solution. We have done our best work when we’ve worked closely with our clients to deeply understand their needs, wants, and ideas. Our goal is simple: become a trusted advisor to your production process. We succeed at that by establishing a dedicated project management board, flexible pricing and express handling contracts, and a Client Advisory Board, which serves as a hub for exchanging information with industry leaders, and staying on top of the latest developments in 3D technology. We want to build our partnership on trust. We propose to execute a real project, with real parts, and a real shipment to your office as a proof-of-concept. A project with none of the fees and none of the risks, to serve as a demonstration of our expertise and as a token of good faith. If you send us a real 3D model to print or engineering challenge to solve, we will deliver our very best within an agreed timeframe. NDA forms and strict quality assurance are standard practice, of course.